I can’t help but feel this year has just flown by. It only seems like yesterday that I was celebrating my 18th birthday. Or on a cruise ship sailing around the Mediterranean Sea. Or moving into my flat in Liverpool. Or seeing Madness in concert. Last night I met up with my friends Becky and Becca to exchange Christmas gifts with a traditional turkey dinner. We decided to open our presents early and I felt very lucky. My friends bought me wonderful gifts. 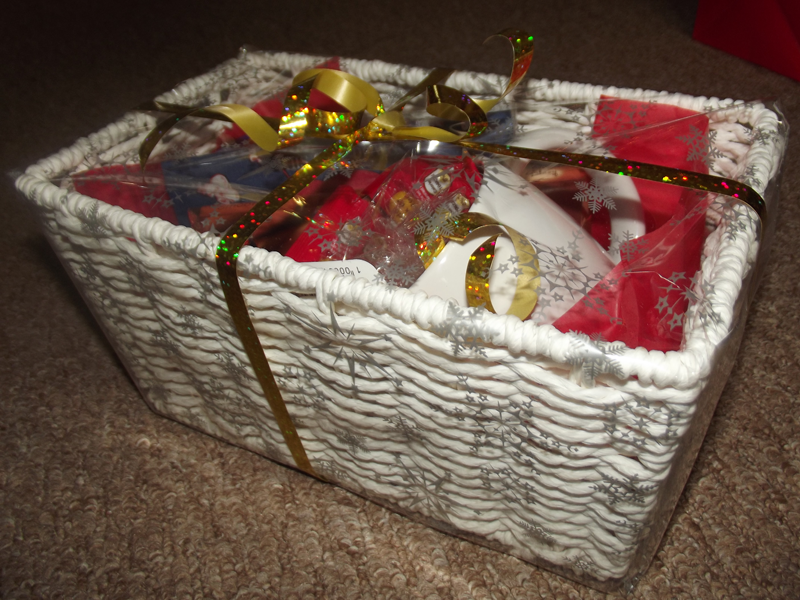 Becky gave me a basket, wrapped up with snowflake cellophane and filled with goodies such as chocolate, drinking chocolate sachets, microwave popcorn and a Starbucks mug. 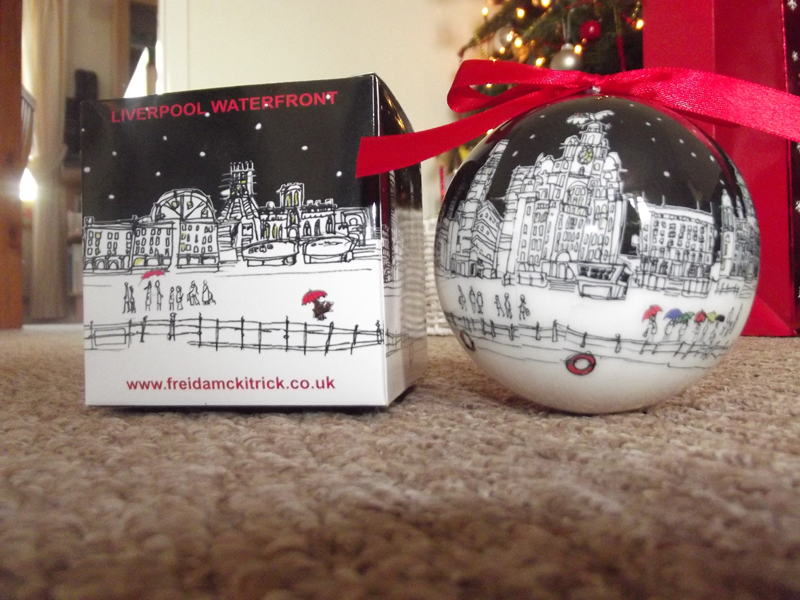 She also got me a bauble for the Christmas tree which has the view of Liverpool on it. It’s so pretty! 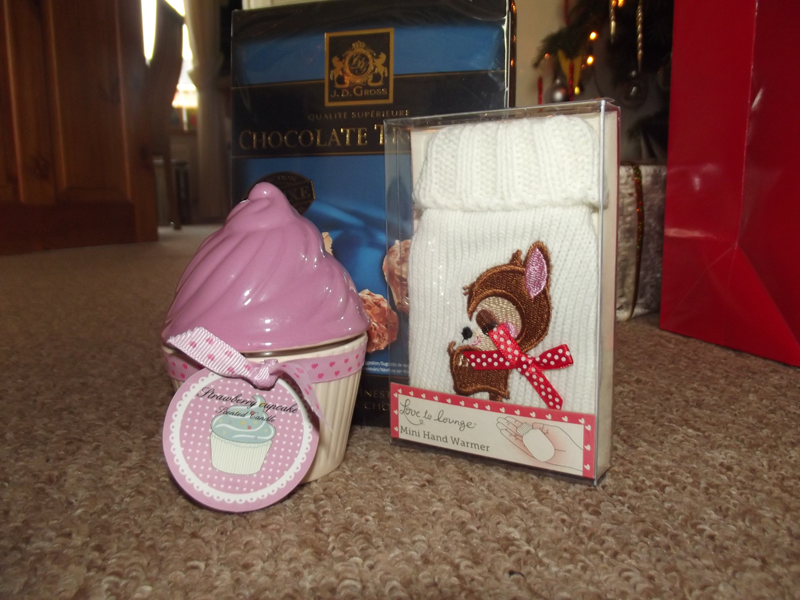 Becca gave me a cupcake candle (which smells amazing), a cute little hand warmer and a box of chocolate truffles. I’ve been so excited about Christmas; I feel like such a child. I think this year is extra special as it’s the first time I have been living away from home. Coming home for Christmas and spending time with the people I love is really magical. The only problem is that I don’t want it to end and I don’t want to go back. 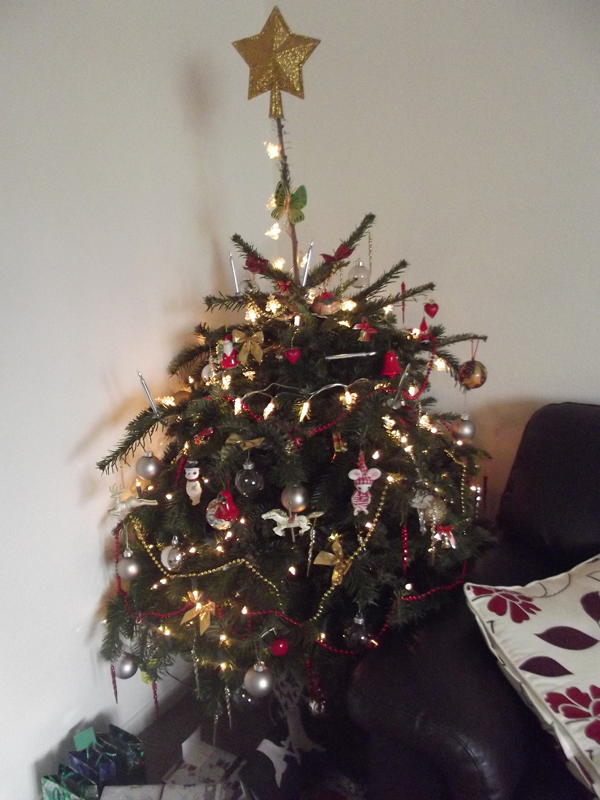 To end, here are some pictures of the gifts from my friends and our Christmas tree. The basket of goodies from Becky. Bauble with Liverpool on it. I hope you are enjoying your Christmas Day today… I totally loved your little tree and that basket from Becky looks so huge! I hope you have such a lot of fun in the time that you are home that you’ll be really glad that you came home and then you’ll happily go back to the uni with many many memories of your vacation! 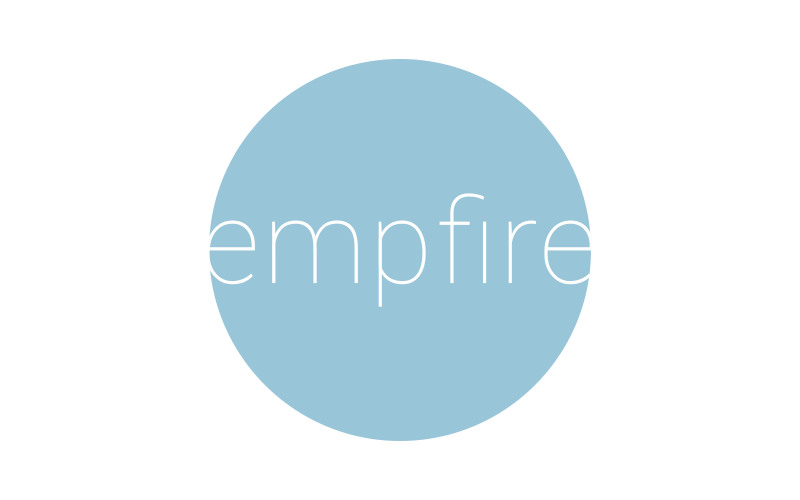 Btw, I’ve added you as a friend on my website. Hope you’d do the same. You’re so lucky to still be excited by Christmas, I am not anymore, and it makes me so sad. 🙁 I don’t live near family, I do live near my boyfriend, but this year I had to work on Christmas and didn’t finish until 2.30, so I didn’t bother heading into town. Your friends are so nice, i don’t really exchange gifts with friends, I often want to, but I can’t afford it. :L This comment is sounding rather negative. haha. POOR ME I am screaming. lol. I’m a couple days late, but Merry Christmas! I’m glad you got to spend it with your friends and family 😀 You got some great gifts! I really like the cute things you got, like the bauble, cupcake candle, and the hand warmer. I hope you have a happy new year too! Merry belated Christmas! It sounds like you had a wonderful time, and I always hate to see the holiday end. :/ This year has been a pretty big one for me as well, bringing lots of change, but I think it’s been a good year for me.